In these chapters we see the actual introduction of several of the “judges.” But, unfortunately, each judge arises at the failure of the Israelites to follow God’s will. 7 The Israelites did evil in the eyes of the Lord; they forgot the Lord their God and served the Baals and the Asherahs. 8 The anger of the Lord burned against Israel so that he sold them into the hands of Cushan-Rishathaim king of Aram Naharaim,[a] to whom the Israelites were subject for eight years.9 But when they cried out to the Lord, he raised up for them a deliverer, Othniel son of Kenaz, Caleb’s younger brother, who saved them. Again the Israelites did evil in the eyes of the Lord, now that Ehud was dead. 2 So the Lord sold them into the hands of Jabin king of Canaan, who reigned in Hazor. Sisera, the commander of his army, was based in Harosheth Haggoyim. 3 Because he had nine hundred chariots fitted with iron and had cruelly oppressed the Israelites for twenty years, they cried to the Lord for help. 4 Now Deborah, a prophet, the wife of Lappidoth, was leading[ Israel at that time. We will certainly continue to see judges arise in Israel & their success at the cycle of leading the nation back into following the Lord. But it is a great sadness that the judges had to be raised because of the repeated failure of the people. In Judges we see the continued history of the Israelites claiming the land given to them by the Lord. But as we move into the Book we quickly see the repeated pattern of the Nation “falling away” from the Lord. Joshua 2 tells us: 10 After that whole generation had been gathered to their ancestors, another generation grew up who knew neither the Lord nor what he had done for Israel. 11 Then the Israelites did evil in the eyes of the Lord and served the Baals. 12 They forsook the Lord, the God of their ancestors, who had brought them out of Egypt. And yet we continue to see the Lord’s dedication to His Story & we see the reason why the Book is Named “Judges:” Judges 22:16 – 16 Then the Lord raised up judges, who saved them out of the hands of these raiders. As we read we need to keep in mind that the word “judges” refers more to someone who is a military leader, inflicting “judgement” via their actions. Yet, there is another powerful example for us in Chapter 22. 10 When they came to Geliloth near the Jordan in the land of Canaan, the Reubenites, the Gadites and the half-tribe of Manasseh built an imposing altar there by the Jordan. 11 And when the Israelites heard that they had built the altar on the border of Canaan at Geliloth near the Jordan on the Israelite side, 12 the whole assembly of Israel gathered at Shiloh to go to war against them. 27 On the contrary, it is to be a witness between us and you and the generations that follow, that we will worship the Lord at his sanctuary with our burnt offerings, sacrifices and fellowship offerings. Then in the future your descendants will not be able to say to ours, ‘You have no share in the Lord.’ 28 “And we said, ‘If they ever say this to us, or to our descendants, we will answer: Look at the replica of the Lord’s altar, which our ancestors built, not for burnt offerings and sacrifices, but as a witness between us and you.’ 29 “Far be it from us to rebel against the Lord and turn away from him today by building an altar for burnt offerings, grain offerings and sacrifices, other than the altar of the Lord our God that stands before his tabernacle. Our lesson — “look before you leap” when making decisions regarding others. It may take us a bit of time to really determine a person’s purpose in what they do. As I read through these chapters one incident caught my eye — the discussion of the “people of Joseph” with Joshua over the lands they were given. I was taken by yet another example of a people of the nation of Israel not being content and thrilled with what they were given the the Lord. A little research shows that their territory, which measured about 55 miles by 70 miles, was at least as large in proportion to their numbers as that of any other tribe, and moreover comprehended some of the most fertile of the whole promised land. Interestingly, Joshua was also of the same tribe and, yet, he did not back down to the challenge of the Josephites. Instead, he challenged their faith! We will also find later that Ephraim continually had this belligerent attitude in view of what they saw as the importance of their tribe (e.g. Judges 8:1; Judges 12:1). These chapters contain another fulfillment of a promise of the Lord as the conquered lands are distributed to the tribes, except to the Levites who were prohibited from owning land by the Lord. Several commentators quote Numbers 32:1 which states that “The Reubenites and Gadites, who had very large herds and flocks, saw that the lands of Jazer and Gilead were suitable for livestock.” So, the land east of the Jordan River was seen as a prime area for raising livestock. All miracles recorded in scripture are awe-inspiring. On a personal note Chapter 10 of Joshua contains a miracle that never fails to marvel me. From a technical point of view — what happened to the tides, the weather, and the gravitational impact our plant has on other heavenly bodies? Also, did this miracle make this a “leap year” in Israel? In my mind this episode just reinforces a truth we see throughout scripture. To fulfill His plan and compete His story there is nothing that the Lord our God will not do. Verses 11-23 describe the military victory over the city of Ai. Speaking to me in these verses is that the Lord will take whatever steps necessary to fulfill His promise to His people. Word of praise and words of assurance for God’s Nation and for each of us. As I read through these chapters even though we only read “words” I was taken by the emotions of Moses that these words expressed. We all know what it is like to leave friends behind & the emotions involved. This is what I feel in these words. The Israelites had seen all of the miracles the Lord had bestowed them. Yet, Moses refers to them as not having spiritual understanding of what had occurred. Well — take a look at Mark 8:17-19 17 Aware of their discussion, Jesus asked them: “Why are you talking about having no bread? Do you still not see or understand? Are your hearts hardened? 18 Do you have eyes but fail to see, and ears but fail to hear? And don’t you remember? 19 When I broke the five loaves for the five thousand, how many basketfuls of pieces did you pick up?” “Twelve,” they replied. The Nation of Israel and Christ’s disciples saw miracles surrounding them and, yet, did not fully understand who God and His Son are. But reflect — do we look around us each day and fail to see the hand of God involved in our daily lives? The historical significance of the area close to the two mountains named in Deuteronomy 27, Mt. Ebal and Mt. Gerizim, is immense. For lying between these two mountains is the city of Schechem. Genesis 12:6 tells us that 6 Abram traveled through the land as far as the site of the great tree of Moreh at Shechem. At that time the Canaanites were in the land. 7 The Lord appeared to Abram and said, “To your offspring I will give this land.” So he built an altar there to the Lord, who had appeared to him. So, while we may be tempted to read through these verses quickly and without focus we need to always recognize that each letter, each word in the inspired Word of God is placed their to help us learn more about the fulfillment if His plan for mankind. If you see your fellow Israelite’s ox or sheep straying, do not ignore it but be sure to take it back to its owner. 2 If they do not live near you or if you do not know who owns it, take it home with you and keep it until they come looking for it. Then give it back. 3 Do the same if you find their donkey or cloak or anything else they have lost. Do not ignore it. 4 If you see your fellow Israelite’s donkey or ox fallen on the road, do not ignore it. Help the owner get it to its feet. a. You shall not see . . . and then hide yourself: God here condemned the sin of doing nothing. To see your brother in need, and to do nothing, is to do evil. b. Until your brother seeks it; then you shall restore it to him: Simply put, when something is lost, a finder cannot claim it as theirs without taking all due diligence to restore it to the owner. c. You shall surely help him left them up again: Also, if someone’s donkey falls down, and you can help them, then you must. To pass by your brother in need and to hide yourself from them is to sin against your brother and against God. I was not very far into this reading when I came across a passage that helps explain so many of the laws the Lord gave the Israelites through Moses. Reading from Chapter 17:7 — The hands of the witnesses must be the first in putting that person to death, and then the hands of all the people. You must purge the evil from among you. Coffman writes: “Capital punishment of idolaters was not a desirable thing per se, but it was enjoined out of regard to the welfare of the whole nation. God was the King of Israel, and the worship of another God was simply high treason, thus deserving the most severe penalty. Several times in the Law we see the penalty of death imposed. While certainly the results are humanly tragic we must remember that the Lord had chosen Israel as His nation — and His law was to help them remain pure by “purging the evil” in their midst. Go back a few Chapters to Deut. 6:7-8 6 These commandments that I give you today are to be on your hearts. 7 Impress them on your children. Talk about them when you sit at home and when you walk along the road, when you lie down and when you get up. 8 Tie them as symbols on your hands and bind them on your foreheads. 9 Write them on the doorframes of your houses and on your gates. 1. Let our hearts be filled with the word of God: Lay up these words in your heart and in your soul. 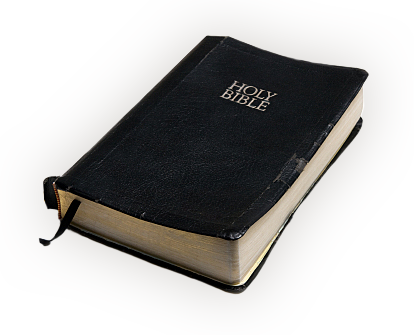 The heart must be the treasury or store-house in which the word of God must be laid up, to be used upon all occasions. Chapter 8:17-18 records: 17 You may say to yourself, “My power and the strength of my hands have produced this wealth for me.” 18 But remember the Lord your God, for it is he who gives you the ability to produce wealth, and so confirms his covenant, which he swore to your ancestors, as it is today. These passages remind me of a very familiar New Testament passage — Matthew 6:11 11 Give us today our daily bread. In the model prayer we recognize that all that we have comes from the Lord — the same message that Moses conveys around 1500 years earlier. The Lord’s message is consistent — we are but stewards. In these verses we, again, see Moses repeat a teaching from Exodus — the ten commandments. But the words are slightly different. Does this mean that scripture conflicts with itself? I am sure this is not the case and the following quote from a commentator summarizes my own thoughts. We must keep in mind that the people Moses is now addressing were not present during the firstreading. First, it must be remembered that Moses’ purpose in reviewing the Law is not to provide an exact word-for-word recitation of the statements in Exodus. Moses is not only reviewing the Law, but he is expounding and explaining the Law and its implications and applications for entrance into and life in the Promised Land. Second, Moses was also under the inspiration of the Holy Spirit as he spoke and wrote the words in these passages in Deuteronomy. Consequently, it is under the inspiration of the Holy Spirit that Moses altered, omitted, or added a word or phrase in his presentation of the Decalogue. Do the following verses from Deuteronomy 4:1-2 sound familiar? : 1 Now, Israel, hear the decrees and laws I am about to teach you. Follow them so that you may live and may go in and take possession of the land the Lord, the God of your ancestors, is giving you. 2 Do not add to what I command you and do not subtract from it, but keep the commands of the Lord your God that I give you. One major reason I believe in the inspiration of the Holy Scriptures is their consistency and that they do not contradict each other. As we see here – from one of the earliest patriarchs, Moses, until some of the final words recorded by the Holy Spirit the message is consistent.